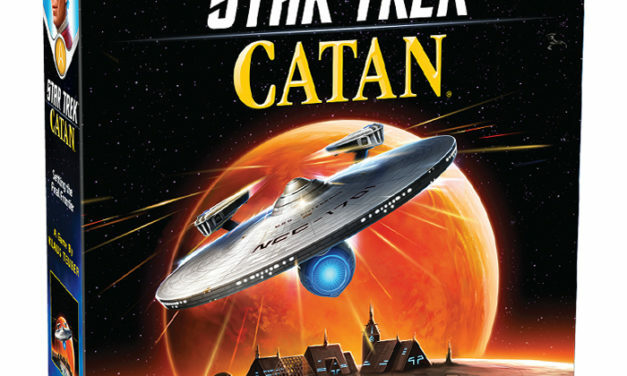 If you’ve read our other Catan entries, you’re probably aware that we tend to take boardgames pretty seriously. And by seriously, we mean sabotage to the extreme. But somehow that seems wrong when we’re dealing with Starfleet and the Prime Directive… so we’re going to take a more traditional approach to this one. It’s game night, so it’s time to sit back, eat snacks, and play a relaxing game with your friends. But there’s always that one friend that gets a little too competitive (in our case, it’s Patrick). All you want to do is have a fun night with your besties, but you know Patrick (who just brought you delicious cookies from your favorite store) is now plotting your demise. 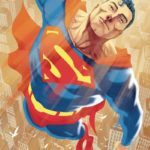 Get ready for game night! 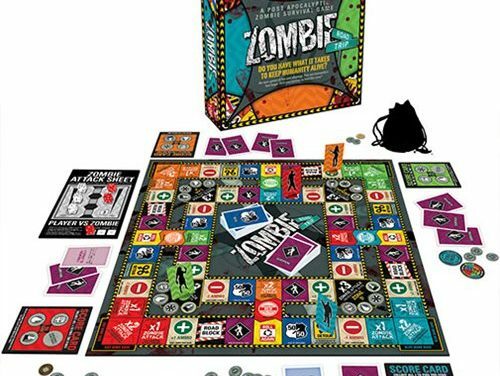 Add the Zombie Road Trip Board Game to your line-up. 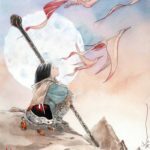 2-4 players, Ages 12 and up. 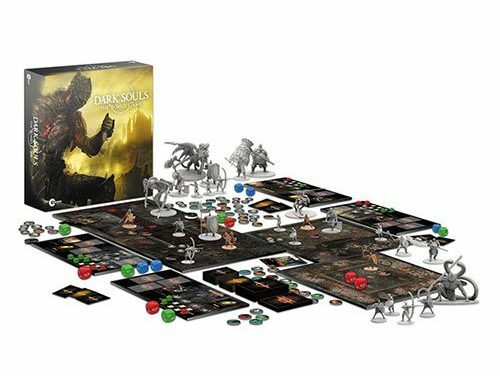 Dark Souls: The Board Game is a cooperative dungeon crawl board game for 14 players. To win the game, players must work together tactically to learn how to defeat enemies before finally confronting the boss. 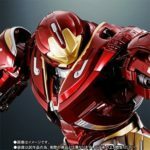 Players will find specific attack patterns and weaknesses of the enemies, but they will have to be careful. 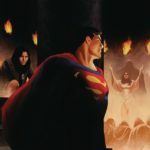 If a player`s character dies, the game does not end, but starting over comes at a cost. 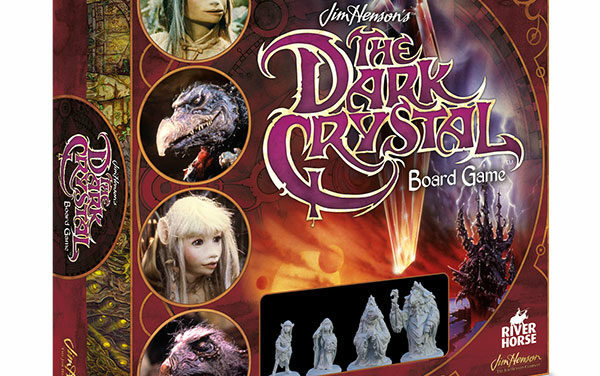 Jim Henson absolutely knocked it out of the park with The Dark Crystal. He created a classic story while absolutely terrifying us as children with how some of these creatures look. If that doesn’t make you remember a movie, nothing will. 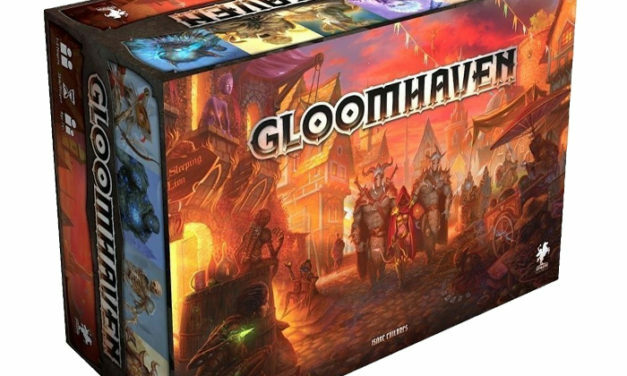 Now you can relive those memories with the board game based off the movie. Just, hopefully, without the hiding behind the couch the first time you saw a skeksis. 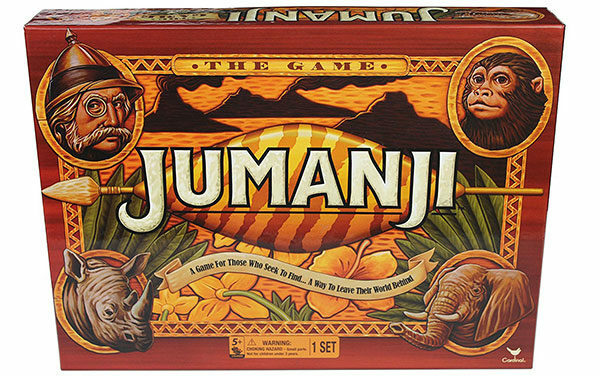 So reads the game board for the Jumanji Board Game. If that isn’t warning enough, perhaps the creeping vines and charging rhinoceros will demonstrate the seriousness and risk-taking requirements of this challenge. And, once you begin, the game really pulls you in, committing your team to seeing it through. Journey with Rudolph and his friends across the North Pole to find and deliver the Misfit Toys. Help Santa save the day! 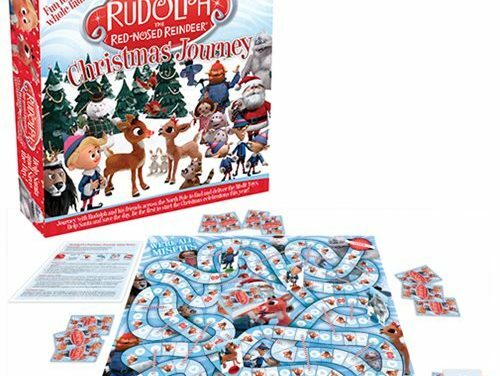 Be the first to start the Christmas celebrations this year with this Rudolph the Red-Nosed Reindeer Board Game. 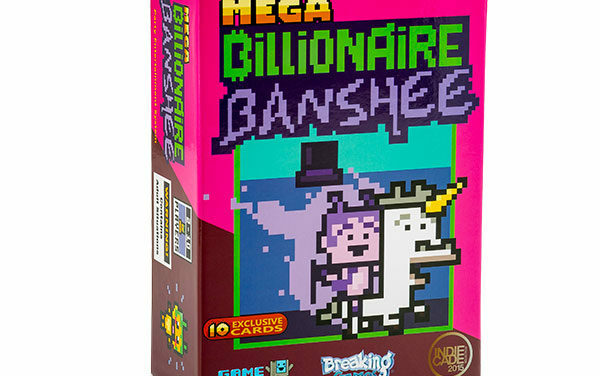 It’s a great game for kids and the young at heart! Ages 8 and up. 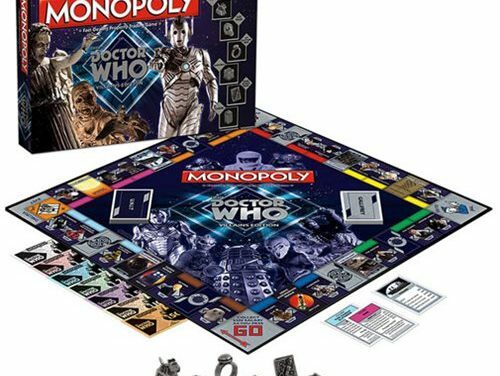 Doctor Who’s greatest adversaries have taken over the classic board game, Monopoly! The Doctor Who Villain Edition Monopoly Board Game features the most evil lineup of foes the time and space-traveling Doctor has ever faced! This is the perfect Monopoly board game for any Doctor Who fan! 2 to 6 players. Ages 8 and up. 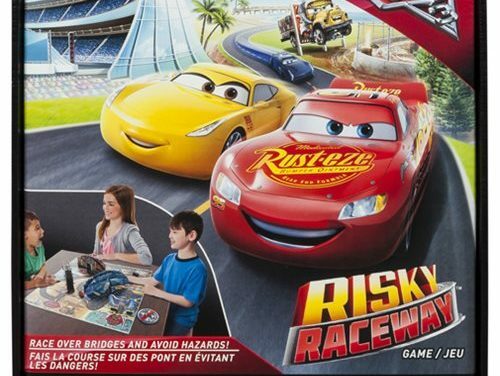 Bring home the racing fun and excitement of Cars 3 with the Risky Raceway Board Game! Join Lightning McQueen, Cruz Ramirez, and Jackson Storm as they train for the big race. Use training tokens to avoid hazards, race over bridges, and the first player to reach the checkered flag wins. Requires 2-3 players. 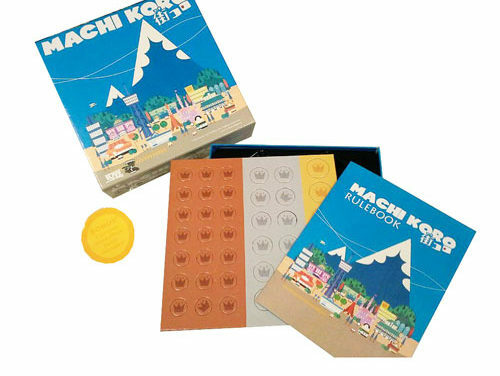 Welcome to Machi Koro Board Game, the Japanese card game that’s sweeping the world. You’ve just been elected Mayor of the city of Machi Koro. Congrats! Unfortunately, the citizens have some pretty big demands: jobs, a theme park, a couple of cheese factories, and maybe even a radio tower. A tough proposition since the city currently consists of a wheat field, a bakery, and a single die! You know, dating apps would be a lot more useful if they listed upfront everyone’s perks and quirks. For example, this person always washes the dishes but has commitment issues. You could right swipe if you could deal with that set of circumstances and left if not. 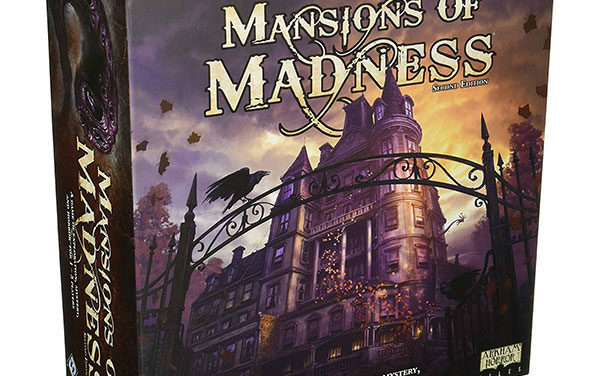 Fight for your life in Mansions of Madness, the app-assisted horror game inspired by the works of H.P. Lovecraft. 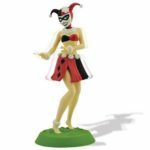 This fully-cooperative game takes you and up to four other players on a harrowing adventure through the dark, desolate halls and alleyways of Arkham. Let the immersive app guide you through the veiled streets of Innsmouth and the haunted corridors of Arkham’s cursed mansions as you search for answers and respite.